These waxed cotton black shoelaces are made in France and av.. 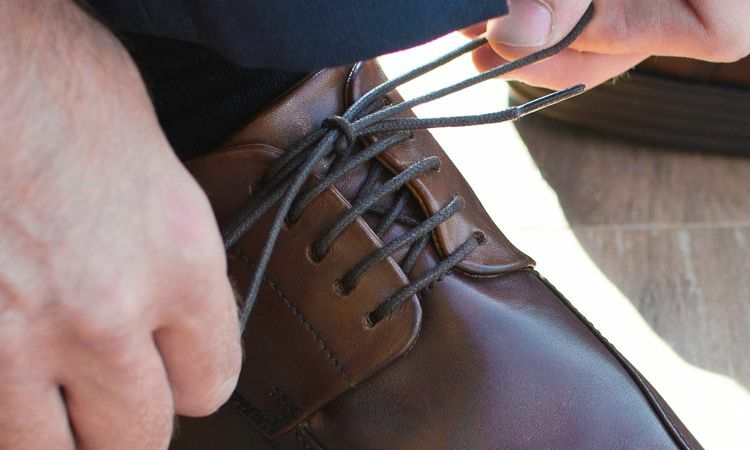 These waxed cotton brown shoelaces are made in France and av.. 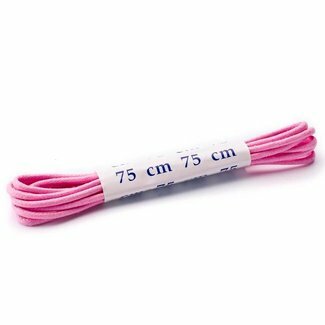 These waxed cotton pink shoelaces are made in France and 75 .. 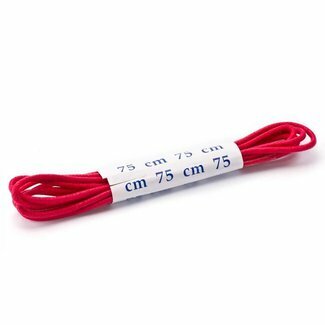 These waxed cotton red shoelaces are made in France and 75 c.. 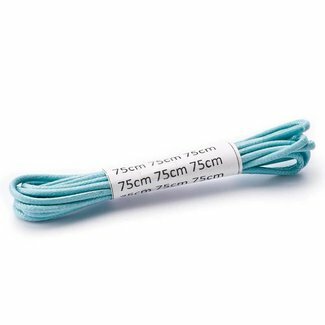 These waxed cotton aqua shoelaces are made in France and 75 .. 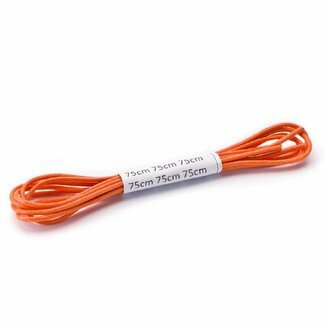 These waxed cotton orange shoelaces are made in France and 7.. 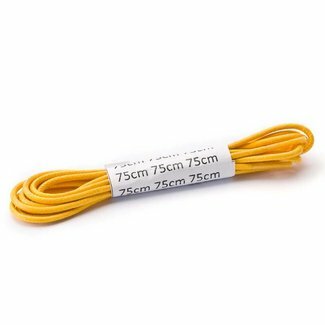 These waxed cotton yellow shoelaces are made in France and 7.. These waxed cotton grey shoelaces are made in France and 75 ..
Laces are an indispensable accessory to close your lace-up shoes. It is always a good idea to have a few spare laces at home. Quality Shop has different types, all of a high quality. In France, the laces are produced with great care and are sold per pair. 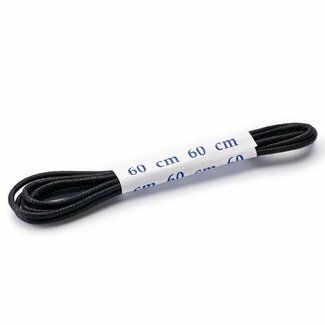 If you order one set of shoelaces, this is for one pair of shoes. The product does not have a very long history, because, until the 20th century, shoes with a buckle on button were closed. The lace was first mentioned in an English document from 1790. Over the centuries, the product has been further developed and is now available in many varieties, colours and lengths. Here, you buy round laces of waxed cotton. The product is made of fine, but strong cotton threads that are cross-braided together. Due to the choice of this material, there is always a slight elongation. This has the advantage that the shoelaces are easier to tie and the shoe fits better. Furthermore, the round shoelaces are provided with a wax layer, that serves as extra protection. The ends are finished with a plastic layer, making it easier to string the waxed laces and it prevents fraying. It is usual to choose a lace in a colour that matches the colour of the shoes. Nowadays, it is an accessory that is subject to fashion. Shoes with contrasting coloured laces are a trend. For instance, cognac coloured shoes with blue laces or black boots with red laces. Shoelaces are available in different lengths. The coloured ones are available in the length of 75 cm. Black and brown laces are available in four different lengths: 60 cm, 75 cm, 90 cm and 120 cm. To determine the correct length, count the number of eyelets on one side of the shoe.